When you plan to get pregnant, no one thinks about genetics. No one says oh, let me check your family history. We conceive and get thoroughly excited about our babies. YES! Some do get twins and others triplets. Others just get excited at the fact that they have conceived. Pregnancies do not guarantee that one will carry a child to term. We assume all happiness and forget that our bodies do their thing. Fast forward. I have a dear friend whom I’ve been blessed to know for the past 30 years. Let me call her Jade. The thought of both of us having children was of course far from our minds. Well, life happened and we both parted ways but somewhat kept in touch. When we finally reconnected, Jade had gotten married and had a daughter. I was not married but had a daughter too. They were 4 years apart. We kept in touch this time around for good. Later I found out that she had had a son. Upon checking out of hospital, the doctors suspected something odd about her new born, two-day old son. They ran tests upon tests, upon tests. Sickle cell sounded like a screeching unrelenting sound!!! She was sitting in the waiting area waiting for results. This is not how you welcome a baby to the world. She called me, and I was shattered for her. Jade did not sleep that night and wondered why her child was “broken.” Who knew sickle cell traits were so present in her family’s DNA and her husbands? What a bummer to be an African, she thought!!! There is no love test to determine who procreates with whom, no way! Apparently, sickle cell predominantly affects those of African ancestry, but is also common in people with a Hispanic background. Acceptance began to sink in. We have a new norm she said to me and to her husband. As her friend, I began reading about sickle cell. “Sickle cell anemia (sickle cell disease) is a disorder of the blood caused by an inherited abnormal hemoglobin (the oxygen-carrying protein within the red blood cells). The abnormal hemoglobin causes distorted (sickled) red blood cells. The sickled red blood cells are fragile and prone to rupture.” I could not imagine what Jade was going through. Jade and her son, let’s call him Simon, were in and out of the hospital every three weeks for blood transfusions. These transfusions helps to increase the number of red blood cells which decreases the risk for blockages in the blood vessels and improves oxygen delivery to the tissues and organs. Some of the issues Simon was going through would be as simple as fatigue, swollen hands and feet (dactylitis), and jaundice–which is the yellowing of the skin and eyes. This is caused by the breakdown of the red blood cells. Imagine going back and forth to the hospital while still trying to maintain your home and sanity? Life was not easy, but she continues to plow through. Simon is now 12. Jade and her family have purposed to create awareness about sickle cell. Jade speaks to pregnant mothers monthly regarding screening and testing for their children. This kind of support has given her and Simon some peace of mind, allowing them to know that they are not the only family living with sickle cell. We are now aware that the only cure out there for sickle cell is the bone marrow transplant. She and her husband have encouraged both mothers and fathers to participate in evaluations, immunizations, and sometimes additional immunizations due to the nature of the disease. Because the spleen does not work well for those with sickle cell, they are more likely to contract all sorts of infections. Therefore, they must be up to date with all their immunizations and must consistently visit their doctors to minimize acute problems and improve quality of life. 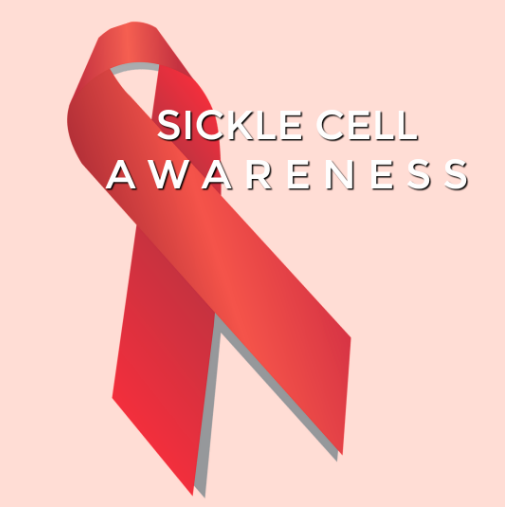 For more information on sickle cell, please check out National Institutes of Health (NIH)—the nation’s biomedical research agency that makes important scientific discoveries to improve health and save lives.